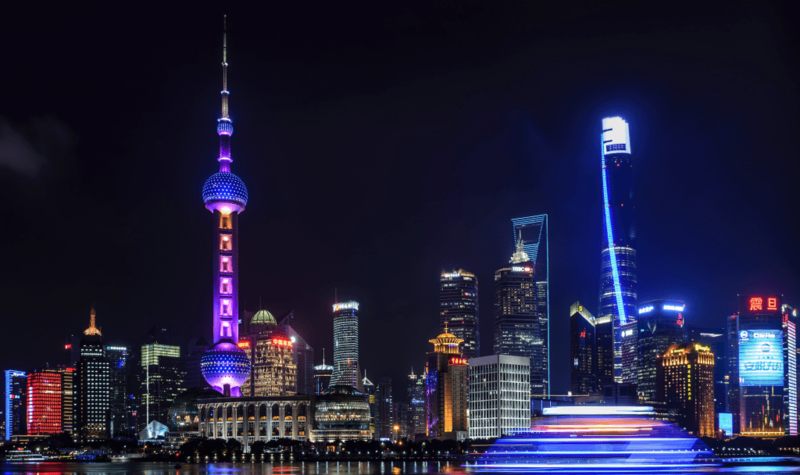 While many perceive China as an unfriendly jurisdiction for cryptocurrency, there are clear indicators that the world’s second largest economy intends to take the lead in blockchain development. This article is largely inspired by a Brookings Institute report entitled “Is China Leading the Blockchain Innovation Race?” We thought the conclusions in this article were insightful but also potentially counter-intuitive for our crypto audience. How can China be leading blockchain development but still be perceived as a non-friendly jurisdiction at the same time? The key is to separate fact from fiction by analyzing the origins of this perception and recognizing the evidence that debunks it. Why China is perceived as an unfriendly jurisdiction for blockchain. A watershed moment for blockchain in China occurred in September 2017 when the People’s Bank of China (中国人民银行 PBOC) officially banned all ICO activity. This ordinance signalled a clear shift from China’s “wait-and-see” attitude to a more active regulatory approach. Such a shift came none too soon. We know from a well-publicised ICO report from Satis Group that 81% of ICOs surveyed were assessed to be fraudulent. In an effort to protect its citizens from malevolent actors and cool the super-heated crypto market, the PBOC issued the blanket ban that put a sudden halt on the operations of Chinese cryptocurrency exchanges including Binance, Huobi and OKCoin. A series of regulations from other authorities also prohibited cryptocurrency promotional events, first in Beijing’s Chaoyang district. Subsequent regions, such as the Guangzhou Development District, followed suit. Judging from reports of purchasing ratings on major crypto news outlets and buying favorable review articles, we are highly sympathetic to this assessment. No room for misunderstanding: 7 reasons China leads blockchain development. 1. The same authority that banned ICO in 2017 also registered the most blockchain patents of any organization in the world that year. This is according to a report from the People’s Daily. The Chinese central bank has made blockchain a major initiative. As such, the PBOC will play a major role, especially in the development of a Chinese national cryptocurrency (likely to be the first in the world). 2. President Xi Jinping has personally acknowledged blockchain as a breakthrough technology. As part of China’s national development strategy, the Central Government identifies technologies for double down with initiatives in both the public and private sectors. Blockchain has been identified as one such technology, together with AI, quantum computing, mobile communications, and IoT. 3. The Shenzhen Arbitration Commission has ruled that Bitcoin constitutes personal property. As such, it enjoys full protection by the law, according to Chinese media outlets. This decision specifically covers Bitcoin (BTC), Bitcoin Cash (BCH) and Bitcoin Diamond (BCD). Among its principle findings is that though Bitcoin exists in the virtual space, it has special characteristics with regards to possession. In addition, the court found that Chinese law neither prohibits the ownership nor transfer of Bitcoin. While not recognized as a currency, the court does recognize that Bitcoin can bring economic benefits to transacting parties. Merchants and retail consumers can thus use Bitcoin as a medium of transaction. 4. China's 13th five year plan (十三五) mentions blockchain twice as a strategic technology. China’s five year plans are arguably the most important document produced by the Central Government. It outlines China’s key initiatives, concerns, reforms, and accountability metrics over a span of the next five years. The concept of Blockchain (区块链) is mentioned twice in this document, next to other national priorities: big data, advanced robotics education, and accelerated innovation. 5. The top cryptocurrency exchanges were born in China or its Special Administrative Region of Hong Kong. Binance, Huobi, OKEx were all originally Chinese exchanges prior to the September ban. Despite relocation to Malta and Hong Kong, all exchanges maintain offices and a significant presence in China and Asia. 6. One of the earliest and most reputable digital asset funds in the world was established in China in 2015. Fenbushi Capital (分布式资金) maintains a reputation as befits its claim of being a venture capital fund: the fund invests only in long-term value rather than just short-term token liquidity events. As such, the fund brings much sought after value-add to the companies it invests in, having made more than 25 high-profile investments to date. Notable investments in its portfolio include Circle, Factom, and VeChain. 7. The BAT (Baidu, Alibaba, Tencent) have all made blockchain implementation a major initiative. Alibaba has registered 43 blockchain patents. Tencent is developing a blockchain platform targeting prescription tampering. Baidu, interestingly enough for us, has already issued a ¥400M asset-backed security on its Blockchain-as-a-Service on the Shanghai Securities Exchange in August 2018. It’s apparent that from startups to state administrations, China’s national blockchain development initiative appears integrated across all levels of the public and private sector. This concerted effort is resulting in the accelerated implementation of blockchain technologies in China. Unless other countries begin to mirror China’s unified approach to develop distributed ledger technology, it is likely that China will lead innovation in the years to come. As expected from China. It's in the lead in many things now.